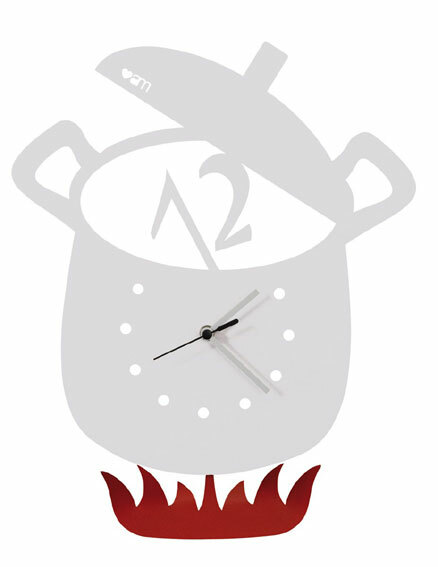 A funky Italian clock designed as a pot on the stove, with red flames at the bottom - however, the flames are a PENDULUM so swing gently under the pot!!! Set in a crisp white metal finish. Requires 1 AA battery (not included). 39cm high and 31cm wide.